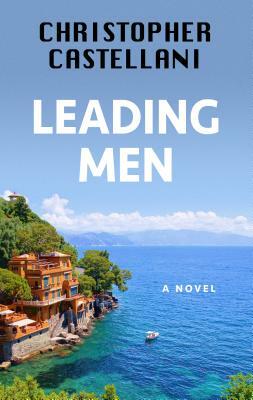 It’s the early 1950s and Tennessee Williams is traveling around in Italy with his partner Frank Merlo, along with the novelist John Horne (Jack) Burns and his lover Sandro. Jack’s struggling with his third novel - his first was a sensation, but the second bombed. Into their lives come a pair of Swedish beauties, mother Bitte (who wants a rich husband) and daughter Anja (who wants to break into film). Tenn and Frank have a sort of symbiotic relationship, combining sexual competition and mutual need. Ten years later Frank is dying in a hospital, almost abandoned by Tenn and only connected to Anja, now a cult art-house actress (think Liv Ullmann). Fast-forward another fifty years and Anja meets Sandro’s son, who hopes to use the unpublished play that Tenn wrote for Anja for his own designs. Everyone is searching for purpose and meaning, except maybe Truman Capote, who only wants to throw a good party. Tenn and Frank’s relationship is at the heart of the story, of a playwright who wasn’t really aware he had a muse until he lost him. Lush writing, intricate characterizations, themes that resonate from Williams’s own work, and a Beautiful Ruins type vibe in the fifties section that had me looking at flights to Italy.